Bangladesh Export Processing Zones Authority (BEPZA) set unique example by donating 3954 bags of blood at a time on Sunday in remembrance of the genocide of black night of 25th March and sacrifices of 30 lakh martyrs on the eve of 26th March Independence Day, says a press release. Employees of all levels of BEPZA, the workers and employees of the enterprises of EPZs, foreign and local investors also participated in the voluntary blood donation program on 24 March 2019 organized simultaneously at BEPZA Executive office and 8 EPZs located in the different parts of the country in association of Bangladesh Red Crescent Society. Inspired by the success of previous two years, BEPZA organized the blood donation program for the third consecutive time. Md. Nojibur Rahman, Principal Secretary to the Prime Minister inaugurated the program as the Chief Guest through video conferencing connecting with 8 EPZs. He highly praised BEPZA to come forward in serving humanity through voluntary blood donation. He said, BEPZA is moving forward successfully creating favourable condition by turning every adverse situation into strength. BEPZA is a model for blood donation program. I hope, this program will spread all over Bangladesh as a role model in future. The voluntary blood donation program by commemorating the genocide and launching soft blood blank is an example to the other organization, he added. Executive Chairman of BEPZA Major General S M Salahuddin, BP, SPP, ndc, psc said that BEPZA has taken this initiative for remembering genocide of 25th march and 30 lakh martyrs in liberation war. BEPZA along with its 8 EPZs located at different parts of the country is playing a vital role for donating blood voluntarily. It will be a great achievement for BEPZA if these donated blood save bed- laiden patients, he added. Special Guest of the program and Country Representative of International Federation of Red Cross and Red Crescent Md. Azmat Ullah said, I'm proud to attend the great initiative of this blood donation program of BEPZA. Secretary General of Bangladesh Red Crescent Society Mr. Md. Feroz Salah Uddin said, BEPZA is the only one government organization of Bangladesh who has arranged blood donation program widely. 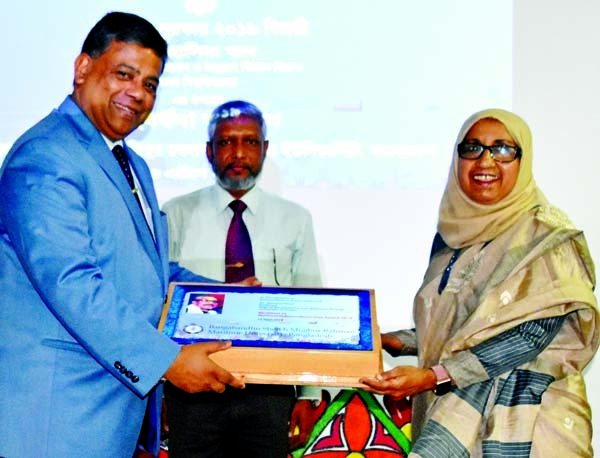 Mentionable that BEPZA has been awarded by the Bangladesh Red Crescent Society as best blood donor organization for donating 2600 bags of blood in 2018 and 1200 bags in 2017 at a single day. This year BEPZA fixed target for 3000 bags of blood but collected 3954 bags. BEPZA has created a soft blood bank with the data of 1,18,000 donors who are donating bloods to the patients all over the country. Among others, Zillur Rahman ndc, Member (Investment Promotion), Md.Faruque Alam, Member (Engineering), Md. Mizanur Rahman, Member (Finance), Md. 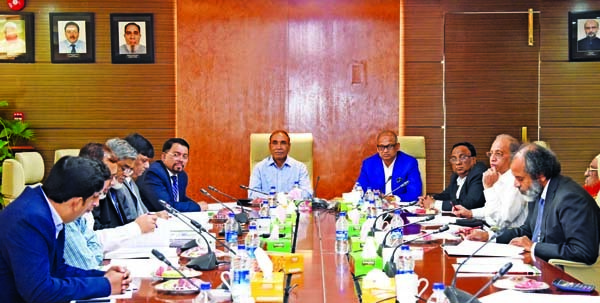 Nabirul Islam, Secretary, General Managers of each department including employees of all levels of BEPZA and representative of Bangladesh Red Crescent Society were present.